Most web sites deliver pages that are not optimized for viewing on a mobile device, consequently take too long to load and often are impossible to navigate. We custom build every Mobile listing page. 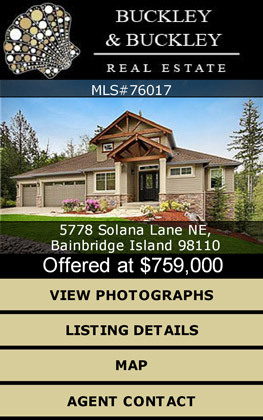 Try viewing your listing on your smartphone and compare it to ours. Even with 15 photographs our site weighs in at around 500kbs so loads fast and sized right for mobile viewing. FREE price changes and status updates... Just email us anytime there is a price change or the listing goes pending and we update for free. Sell the listing and we will archive it on your FREE Mobile Agent page so you can always refer back to it during listing presentations. Linked to a QRREI code that home-buyers can scan (either onsite from the QR CodeRider or from a magazine advert such as that in Homes and Land) home-buyers have instant access to your properties details when it is of most use to them. Each Mobile Listings Page is accessible either by scanning the code or typing the short text URL (www.qrrei.com/a012 for example) directly into a browser. ALL the photos, MLS details, agent contact as well as an interactive map to view satellite and topographical features of the location. Add the ability to share the listing via Facebook or email and a ready to use contact form make for a powerful marketing tool. Try viewing the same listing delivered to your phone from your corporate web site and see why our Mobile Listing Pages are far superior. Our pages minimize the need for zoom/pinch/scroll and just plain deliver on the mobile experience. We customize the interface of the page with your logo, colors, head-shot etc, and add links to ALL your web sites if desired. With the power of a QR CodeRider sign linked to your Mobile Web Page you have the ultimate in “cutting edge” marketing.